According to the Oxford Dictionary, “luxury” is defined as “a state of great comfort or elegance especially when involving great expense”. I think it’s fair to say that luxury means very different things to different people. And it doesn’t necessarily have to mean spending a great deal of money. Couples who are “time poor”, may feel that the greatest luxury is having time together, privacy and unplugging from the digital world. Others may seek a honeymoon full of spa treatments and pampering. Or maybe it’s a love of the natural world that fuels your notion of luxury. But of course, the travel industry thrives on pushing the boundaries of conventional luxury which means lavish accommodation and, more than anything, high levels of service. Whatever your personal dreams, here’s my guide to luxury honeymoons. There’s nothing like a millionaire’s private island to get married life off to an impressive start. Sir Richard Branson’s Necker Island in the British Virgin Islands offers Celebration Weeks during which couples can book a room for just the two of you. If you have the budget, you can rent out the entire island. Other Caribbean properties that stand out from the crowd include Anse Chastanet and Jade Mountain in St Lucia. Rooms have no fourth wall and look out over the spectacular Piton Mountains. The private island resort of Parrot Cay by COMO in the Turks & Caicos is favoured by many Hollywood stars for its gorgeous villas and outstanding spa, the Shambhala COMO Retreat. The tiny Caribbean island of Anguilla is a hideaway for those seeking high-end luxury with top resorts including Cap Juluca with its Moorish architecture and the Four Seasons with its rooftop suites with private pools. Malliouhana was one of the most spectacular refurbs of 2015. For a castaway resort with a heart of gold, Song Saa in Cambodia elevates barefoot luxury to new heights, whilst keeping its eyes firmly on community renewal and conservation. Mauritius has carved out a niche for itself as being an island that’s big on five-stars with high levels of service and attention to detail, especially when it comes to weddings and honeymoons. Many resorts have dedicated wedding and honeymoon planners such as the Heritage Le Telfair. Another tried and tested favourite is Trou aux Biches, and if you want to push the boat out, book a Beach Front Senior Suite with pool, or two-bedroom pool villa. The Maldives is another mecca for honeymoon luxury with resorts upping the ante on romance with increasingly lavish and designer-led over water villas, plush spas and high-class restaurants. Niyama stands out for its creative flair. Another Indian Ocean destination that offers bells and whistles luxury is the Seychelles, home to private island resorts such as Denis Private Island as well Raffles Seychelles on the island of Praslin and Banyan Tree Seychelles on the main island of Mahe. Aman is another high-end hotel chain whose devotion to style and luxury has created an entire cult of followers called Aman Junkies. Amanwella in the 17th-Century Dutch town of Galle and Amangalla on the sandy shore of Tangalle are sublime properties in honeymoontastic Sri Lanka where couples can combine culture with beaches and adventure. 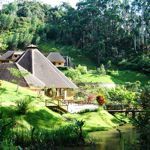 If you’ve had a particularly stressful build up to your wedding day, or you just fancy a honeymoon that has rejuvenation at its heart, then a spa or wellbeing-based honeymoon could be the answer. And luckily some of the world’s top resorts are big on spas and take wellbeing and pampering very seriously, yet guests still feel like they are in a regular honeymoon resort – there’s no longer the connotation that this kind of honeymoon is to do with abstinence or suffering. Quite the reverse! One of my favourite places in the world is Parrot Cay, mentioned above, for its utterly beautiful Shambhala COMO Retreat. It radiates wellbeing but is also very romantic as couples feel bound in a mutual experience. Its sister property in Bali, the COMO Shambhala Estate is equally beguiling and possibly even more spiritual in its Balinese setting. For something very special, head to Ananda in the Himalayas, a spa resort dedicated to mind, body and soul. Located on the Royal estate of the Maharaja of Tehri-Garhwal, it’s surrounded by the Himalayan foothills and the holy river Ganges. 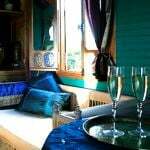 A Couples Connect package includes exotic therapies, personalised couples yoga and a rose petal bath. For something totally on trend, dedicate your honeymoon to exploring the Hot Springs of Japan. InsideJapan Tours has the inside track on its legendary hot springs, staying in ryokan inns. Of course, if you go all that way, it’s great to combine with some city action in Tokyo and Kyoto, where there are fabulous five-star hotels with impressive urban spas. For stand out spas in Europe that combine romance with well being, I would opt for Forte Village in Sardinia with its Thermae del Parco Spa specialising in effective sea water, salt mud and sand treatments, or Sir Rocco Forte’s five-star Verdura Resort in Sicily. For a UK spa honeymoon, Gilpin Lake House is a Relais & Chateaux sanctuary with six suites set in vast private grounds with a new lakefront Jetty Spa, indoor swimming pool and of course the lake itself to lift body and soul. Its Jetty Spa Trail is especially designed for couples and is a combination of dual pampering and invigorating treatments. Another UK option is Lucknam Park set in 500 acres of private grounds near Bath. There’s a world-class spa along with a Michelin-starred restaurant and cookery school. In our overly connected world, where we’re all chasing our tails online, with demanding work schedules and a wedding to arrange, sometimes the greatest luxury a honeymoon can provide is privacy. There’s no coincidence that high profile celebrities usually holiday in villas, shunning even the most sophisticated hotels, for the privacy they afford. In Europe, Corsican Places has a high quality selection of villas for two in Corsica with private pool, such as Casa Acciana, a stylish little house near Calvi. If you prefer all the facilities of a hotel but still place privacy as a high priority, Zanzibar is infused with all the flavours of a castaway island. Stay at the dreamy Baraza Resort. You can also combine Zanzibar with game viewing in Tanzania on this 12-night honeymoon. Vamizi Island Lodge in Mozambique has just 13 villas on the beach with high levels of personalised service whilst The Cook Islands are just about as remote a destination as you could wish for, halfway between New Zealand and Hawaii. Find privacy at the castaway Pacific Resort Aitutaki in a Polynesian style bungalow. ‘Small is beautiful’ is certainly proved correct at the 10 members of Essential Detail in the Caribbean. Each hotel is privately owned and run with a strong passion that shines through everything from the décor to the service. Top of my list are Jamaica Inn which puts 1950s glamour back into Jamaica, and the stylish boutique East Winds in St Lucia, which has just 30 suites and all-inclusive fine dining. Santorini and the Cyclades is another region with a wide choice of characterful boutique places to stay such as Hotel Grace overlooking Santorini’s caldera and Kavos in Naxos with its private villas. Turkey is growing in its choice of small luxury gems and the adult-only Mandarin Boutique Hotel has just eight rooms with king-size four posters and a Jacuzzi for two and lovely private terrace for breakfast. 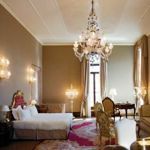 For low-key boutique luxury, the quintas of Madeira are (mostly) hidden gems, and well worth a look. Madagascar is the fourth largest island in the world. A whopping 90% of its wildlife is found nowhere else on earth. 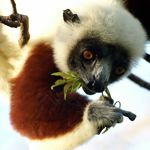 If that feeling of wilderness and oneness with nature is your idea of luxury, then Madagascar will tick all your boxes. Abercrombie & Kent recommends a 12-night honeymoon taking in beach, rainforest, reefs and abundant wildlife, staying at tranquil lodges. Indonesia is often known by honeymooners for Bali, but look beyond and you’ll discover the less developed island of Lombok and the incredible wildernesses of Java with funky places to stay such as Jiwa Jawa Resort near Mount Bromo where a sunrise expedition is a must. At the other extreme of the planet, The Arctic offers honeymooners a delicious snowy wilderness. 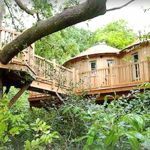 Book with Artisan Travel and you could be ensconced in a Treehotel in Sweden or a glass igloo with overhead views of the Northern Lights. For real urbanistas, you can’t beat a top notch city hotel. Venice is a hub of grand dame hotels, none more so than the Belmond Hotel Cipriani, where the likes of George Clooney come for their wedding celebrations. Italy’s other grand cities are equally flushed with five-start deluxe gems such as the Helvetia e Bristol, in Florence and the charming Inn at the Spanish Steps in Rome. The Andalucian cities of Seville, Cordoba and Granada bring Spanish style to your honeymoon. Hospes hotels are particularly romantic such as the Hospes Las Casas Del Rey de Baeza in the centre of Seville. And of course I can’t leave out the glitzy city of Dubai when it comes to top luxury city hotels. A few nights at The One&Only Royal Mirage Arabian Court and you’ll never want to leave. I would define a “contemporary” luxury hotel these days, not just as a place whose architecture is clean and interiors strikingly modern, but a hotel that has fresh ideas about service and responsibility to the local community and environment. 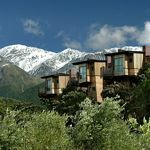 Over in New Zealand, Hapuku Lodge raises the bar for modern hotel architecture and design with its contemporary villas making the most of the stunning natural setting. The Italian island of Capri just off the Amalfi Coast has similar connotations and Capri Palace Hotel & Spa has brought old school glamour bang up to date for honeymooners. 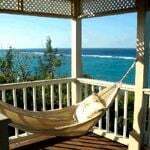 Over in the Caribbean, if you want a flavour of how Jamaica felt in the 1950s when people like playwright Noel Coward and Bond author Ian Fleming lived there, you only have to book into Jamaica Inn to feel the old school vibes. North Africa and the Middle East is the home of Bedouin style camping. The Berber tents at Kasbah Tamadot in the Lower Atlas Mountains of Morocco are some of the most luxurious camping you could wish for. 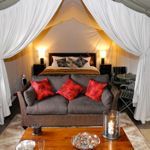 Safari getaways are often demanding, with early starts and active days, so the more luxury you can afford, the more magical your honeymoon may be. For the most luxurious and remote camps in Africa, head to Botswana. Cruise gently through the Okavango Delta in a mokoro canoe, and experience close up encounters with elephant and lion in Chobe National Park. Botswana combines nicely with beach time in Mozambique. Kenya has an impressive mix of vast open plains, intimate camps and diverse wildlife along with a beautiful coast line with white sand beaches. 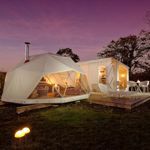 Its lodges are up there with the best including Elsa’s Kopje in the Meru National Park and Cottars 1920s Safari Camp close the Masai Mara. Tanzania and Zanzibar is another winning combination of safari and beach. Alternatively Lake Malawi and Zambia offers a combination of bush walks and dhow cruises with iconic places to stay such as Stanley Safari Lodge. South Africa is a honeymoon no brainer with the cosmopolitan city of Cape Town and incredible lodges such as Ulusaba Private Game Reserve where honeymooners are treated to twice-daily game drives, daily safari walks, two pools, a Aroma Boma Spa, tennis courts and private dinners. The Winelands region is particularly romantic, and the best place to stay is Mont Rochelle – it’s also a great wedding venue. And of course a South African safari can easily be combined with a beach stay in Mauritius. For a safari honeymoon with a difference, the stark beauty of Namibia with its vast dunes and shipwreck-strewn Skeleton Coast is hard to beat. Highlights include exhilarating flying safaris and the wildlife rich Etosha National Park. See my detailed guide to the best safari honeymoons in Africa. The early 19th century was when the art of honeymooning began in the modern sense. Couples would undertake a “bridal tour”, often to the French Riviera or Italy. This notion of a grand tour, or journey is still alive and well, except these days there are so many more options. 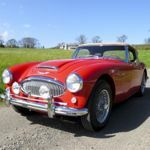 For a romantic self-drive honeymoon around Ireland or Scotland, McKinlay Kidd has a fleet of vintage and modern cars including natty convertibles and the knowhow to create the perfect itinerary for you both. Or how about a luxury train journey? You can’t get much more impressive than the Venice-Simplon-Orient-Express train to Venice. 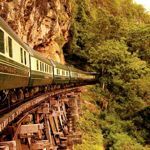 Its sister train, the Eastern & Oriental Express, runs between Bangkok and Singapore. In India, the Maharajas’ Express is the last word in rail travel. See more luxury train journeys. For couples who prefer pedal power, Headwater offers luxury cycling tours across Italy with enough backup support and fine places to stay to make this a high end experience. 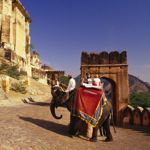 If India is more your cup of tea, then head to Rajasthan for a luxury private tour. Or combine India and the Maldives, with two weeks starting at under £1,800 per person. South America offers endless epic journeys. Peru is famed for its lost Inca cities, but has far more to offer from Amazonian rainforest to Pacific surf beaches. Argentina takes honeymooners on a roller coaster of experiences from Patagonian glaciers to meandering vineyards to breathtaking lakes with cutting edge hotels to lay your heads on route. 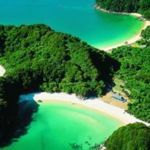 Vietnam tends to attract honeymooners who like to tour, and Selective Asia can tailormake luxury honeymoons from Ho Chi Minh City to Halong Bay. You can also indulge at luxury hotels such as Fusion Maia in Danang and Six Senses Con Dao. Costa Rica lends itself to a multi-centre trip with its lush rainforest canopies, awesome surf beaches, volcanic craters and pristine lakes. Honeymooners can find charming boutique hotels and rustic eco lodges on this two-week Costa Rica in Style trip. Sometimes a little bit of expert knowledge can lead you to hotels and resorts that go the extra mile on service and style without the exorbitant price tag. If you are honeymooning on a budget but still want an iconic honeymoon location such as the Maldives or the Caribbean, there are operators and resorts that won’t blow your budget. Check out Hayes and Jarvis for value for money honeymoons to the Maldives. The things that makes the Maldives expensive is that visitors are usually on one island, so have to buy everything from the resort. The obvious solution to this is to go all-inclusive to gems such as Meeru Island. 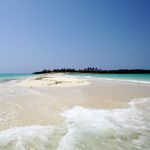 Tropical Sky is another good operator for all inclusive honeymoons to the Maldives such as Komandoo Island Resort and Ellaidhoo Maldives by Cinnamon. Over in the Caribbean there is plenty of high end all-inclusive choice such as Sandals LaSource Grenada and Sandals Barbados where you can even wed for free when you stay seven nights or more. Florida offers so much more than the theme parks of Orlando and the bright lights of Miami. There are plenty of affordable fly-drives where you can discover the off the beaten track Sunshine State for less. Villas in the Med can be a very economical honeymoon that although your self catering, feel like high luxury. Vintage Travel have a portfolio of stunning villas in Mallorca just for two. The Amalfi Coast in Italy has a great choice of classic hotels that ooze romance. Many couples now tie the knot when they already have children, either of their own or from previous relationships. And quite understandably the wedding is just as much about creating a new family as a marriage, so much so that the newlyweds want to take their children on honeymoon too, which calls for a luxury hotel that caters for both couples looking for romance and children looking for fun! 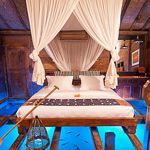 The Maldives used to be a destination for divers and couples, but is increasingly opening its doors to families as dreamy resorts such as Huvafen Fushi wise up to the fact that family travel has become much more sophisticated. Its new children’s Den is nothing short of a playground for the imagination…with the added benefit of being in paradise.